Cash flow issues are stressful for small business owners and can put the business in a very tough spot, or out of business completely. A U.S. Bank study revealed that 82 percent of business failures are due to poor cash management. How can small business owners protect themselves from cash flow issues? Read on for tips from our chat, and check out the full chat transcript here. Q1: What are some of the causes for cash flow issues in #smallbiz? Not setting the best payment terms for their business. Not knowing the health of their business in real-time. Relying too much on history instead of the here-and-now. Not managing credit card purchases well. Connect and use the bank feed at least once a week! 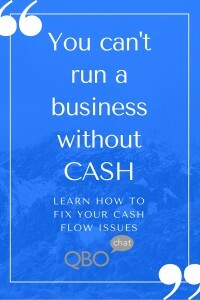 If interested in reading about more causes, @CathyIconis shared this article from @openforum that covers some of common issues around cash flow. Q2: What are some basic steps to get your #smallbiz organized to guard against cash flow issues? @mb_bossman: Get creative, & change pricing structure to a recurring model. 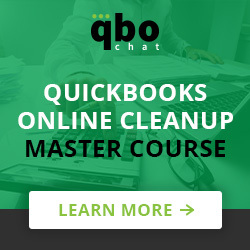 @vrcqbpro: the QB Payments feature in QBO makes collecting on your invoices really easy. @mb_bossman: Don’t pay off expenses faster than they are due, if it will inhibit needed cash flow. @CathyIconis: Don’t invest too much into future operations. Set up a way to scale successfully. @AmyisanAggie: Adopt the mantra: “Stay in front of the numbers instead of reacting to them.” Update books at least once a week. 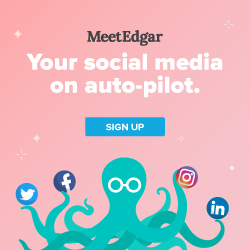 @vheckman: Be selective on when to subscribe monthly vs. annually. Annual can have discounts, but often ties up a lot of money at once. Q3: What are some things you can do to increase your revenue in your #smallbiz? There are numerous ways small businesses can increase revenue, including raising prices, increasing the number of customers, and increasing the average transaction. One item that was mentioned repeatedly during the chat is for small businesses to sell more to current customers by looking at what else can be sold to them – new services, expanded services, existing services, etc. Take a proactive look at your pricing and make sure you have a sustainable business model. Setup a business model to allow for repeat customers. Do you have a Small, Medium, and Large option? People can sell more services to existing – cheaper than acquiring new clients! Invest in tools that will help you grow. $ spent now could mean $$$ later on. Don’t sharpen your axe, buy a chainsaw. Add advisory services offerings on top of compliance work. Clients don’t know what you can do for them until you tell them! Be transparent about ALL the services you can offer! I love when biz (including firms) have a menu on their site! Q4: What are some things you can do to decrease your expenses in your #smallbiz? @SherrellTMartin: Use echeck and ACH payments to receive payments vs credit cards it’s 0.50! @mb_bossman: Just recently stopped accepting CC’s unless I’m passing cc fees on to client. @8Pillars4Growth: Schedule time to review expense reports. Cut out bloat. @AmyisanAggie: Monitor credit card charges made by employees w/ company cards. @vrcqbpro: Compare your expense ratios against industry standards to see where you may be paying too much. Read about 101 ways to reduce expenses and increase profit for small businesses in this article shared by @ledgerdocs. Q5: What apps can #smallbiz use to help fight cash flow issues? And what do they do? @liveplan, @fathom, @Billcom Anything that can help plan better. @Fundera – Such a great app for finding small biz financing. @fundinggates to help with collections of the o/s AR. You & your customer know if their bill is not paid on time automatically! Love apps u can set & forget! In conjunction with #qbpayments Set it and forget it! Want more #QBOchat info? Head over to Facebook and check out the new #QBOchat group. Join us for the next #QBOchat, Thursday at 3 PM EST/12 PM PST. Wagepoint is missing from the list of apps. Right up there with time tracking, payroll software automates and simplifies the complex tax of getting each employee’s paycheck right. Plus, there are all the reporting and tax requirements.